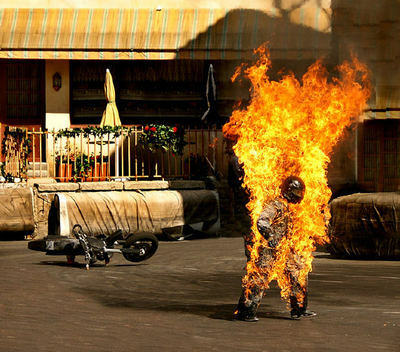 The term special effects is often mistakenly interchanged with visual effects, but while visual effects refers to CGI, special effects refers to practical stuff that that actually happens in front of the camera, such as stunts, pyrotechnics, etc. Which show do you think has the best special effects? I really like the effects used in The Walking Dead. Some of those zombies are really creepy! One of my favourite special effects is from the last episode of Stargate SG-1, season six. The episode is called 'Full Circle', and has a scene where a miniature pyramid is blown up in sections, to make it look like a huge explosion wiping out a civilisation; it is pretty cool. I don't know whether Stargate has the best special effects overall, but that is one of my favourites. I agree with thriftyfrugalfun, The Walking Dead has some great effects and make-up. Is your box still box shaped?